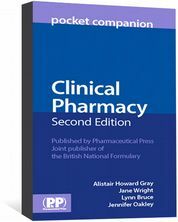 The Clinical Pharmacy Pocket Companion is a comprehensive A–Z handbook containing a range of tools, suggestions and advice for administering effective pharmaceutical care. Bringing together a wealth of information not easily found in other reference sources, it provides essential, practical data for daily use by clinical pharmacists and other healthcare professionals. In this second edition, the entries have been rewritten and revised by specialist pharmacists and clinicians from across the UK. Over 60% of the topics are new, adding appeal for community as well as hospital pharmacists, aiding medicines optimisation across both sectors. It is an essential handy guide and aims to complement existing resources used regularly such as the British National Formulary (BNF) , and the local health economy formulary. 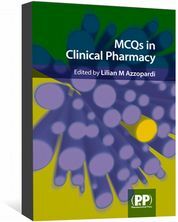 This book is an invaluable tool for practising pharmacists, medical staff, clinical technicians and pharmacy students, providing information on obscure problems as well as routine queries. "The book can be described as having three main functions: an aide-mémoire to resolve routine queries; a prompt to seek further information; and a means to record personal information by utilising blank spaces provided at the end of each entry and section. 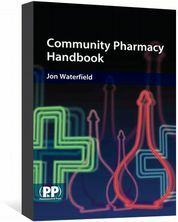 ...community pharmacists will find that the book has immense value in supporting their clinical activities, particularly when offering post-hospital discharge pharmaceutical care." Laurence A. Goldberg, The Pharmaceutical Journal, Feb 2016. 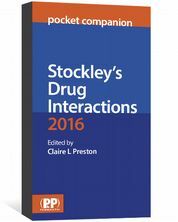 ...the Clinical Pharmacy Pocket Companion can be highly recommended not only for clinical pharmacists but also for health professionals in general." ...I found it helpful and easy to use and would recommend it to any pharmacy student"
...I would recommend its use to all."